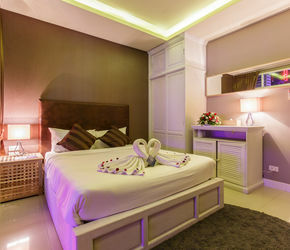 BONDI HOTEL SAMUI, Chaweng Koh Samui provides the perfect choice for travelers seeking the best in affordable, contemporary accommodation in Koh Samui’s tourism hub. Conveniently situated at the heart of Chaweng, the best in entertainment and dining are at your door step. Beach lovers will also find the central location convenient to Koh Samui’s most popular tourist beach. 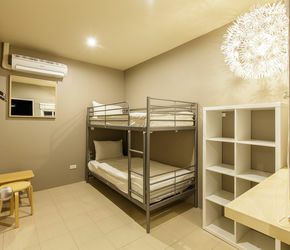 The chic design, air conditioned rooms and suites offer the best in modern features with comfortable bedding, 55” LCD televisions, international cable television with in house movies, complimentary wifi and single vanity bathrooms with rain showers. Thehotel is situated at the entry to popular Soi Green Mango, one hundred meters from the beach, and only 3 km from the airport. A great selection of rooms and suites to match your needs. 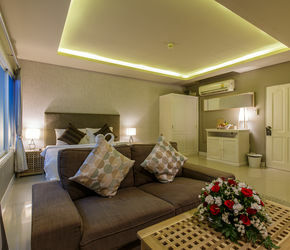 Conveniently located within walking distance to Koh Samui's best shopping malls, walking street and night markets. 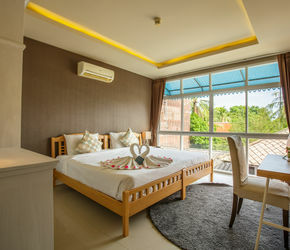 The hotel is situated at the entry to popular Soi Green Mango, one hundred meters from the beach, and only 3 km from the airport..
Are children welcome at Bondi Hotel Samui? 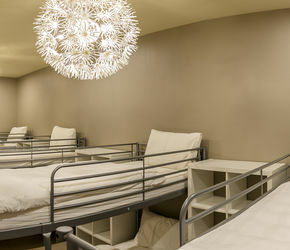 Yes, our family suites are specifically designed to accommodate children. Our Junior Suites can also be fitted with an extra bed. How far is Bondi Hotel Samui from the Samui airport? The hotel is within 15 minutes drive from Koh Samui International Airport. Does Bondi Hotel Samui have direct beach access? Whilst the hotel is not located directly on the beach front, it is within a moments walk via the many public beach access areas.